Update: 4/21: Just confirmed with Idaho Power that the pump power is on, and Caron Pump will be out to start up the pump station today sometime. Matt with Summer Lawns has been notified so he can check the system. Irrigation water should be flowing by end of day today. Update: 4/20/11: IRRIGATION WATER START UP DELAYED. DATE TO BE PROVIDED ONCE DITCH COMPANY UPDATE RECEIVED ON LATERAL. PLEASE CLEAN YOUR FILTERS PRIOR TO CALLING IF YOU EXPERIENCE PRESSURE ISSUES. 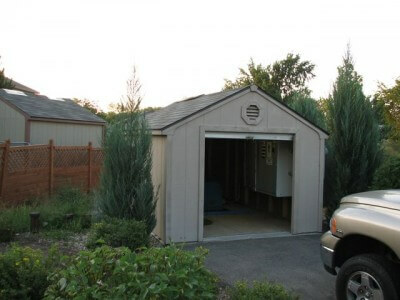 EMERGENCY ONLY AFTER HOURS LANDSCAPE CONTACT: ROY RUSSINGER 939-1482. We are currently working on issues to get the irrigation water running in the subdivision. Summerlawns and the ditch company have been coordinating to determine what the problem is and to correct it ASAP. We will update the site as soon as we have more info. Your patience is appreciated. NOTICE is hereby given that the Annual Meeting of the Red Leaf Heights Neighborhood Association will be held onTuesday, May 17, 2011 at the Eagle Hills Elementary, 650 Ranch Dr., Eagle, Idaho at 6:30 p.m. The purpose of this meeting is to discuss and transact the official business of the Red Leaf HeightsHomeowners’ Association. We will also be voting on board members for 2011-2012. In the event you cannot attend, a proxy form is enclosed. Please send your completed proxy to the meetingwith your appointed representative who must be a homeowner. If you wish to return the proxy by mail or fax,it must be received no later than Monday, May 16, 2011 to: DEVELOPMENT SERVICES, INC., 9601 WestState Street, Suite 203, Boise, Idaho 83714 or by Fax: 208 939-6118.